Company Owners, Bookkeepers, & Accountants! Why you can’t get job-cost reports that tell you how your projects are doing? Why your company financial reports don’t make much sense? If you could be more profitable? If your QuickBooks accounting system could do more than it’s currently doing for you? Get job-cost reports that tell you how your projects are doing? Receive company financial reports that make sense? Learn how you can be more profitable? Use more of the management features built into QuickBooks? Structural changes needed – so you will be able to instantly see reports that let you track and monitor exactly what’s going on with each of your projects. How company reports can be designed to provide more useful information, so you can see how to get better control over your bottom line. Which accounting support tools and QuickBooks features can yield management info far beyond what you may have thought was possible. Interview: An in-depth telephone interview. (depending on your business, up to 170+ checkpoints). Business Advisory Service: A personal appointment to cover your Check-Up Results. Check-Up Results Report: Includes both an Executive Summary & Detailed Findings. Profit-Booster Calculations: Based on info you provide, we compute your hidden potential for increased profits. (Prioritized and customized to meet your specific requirements). Business Advisory Service: A personal appointment to review your prioritized, customized Action Plan. Action Plan Report: Includes “Findings”, “Recommendations”, and “Paybacks”. Set a time for your personal telephone interview. Coordinate the transfer of your QuickBooks file using a secure file-transfer service. “Diane Gilson is one of the most professional and competent QuickBooks and financial management experts I have ever worked with. 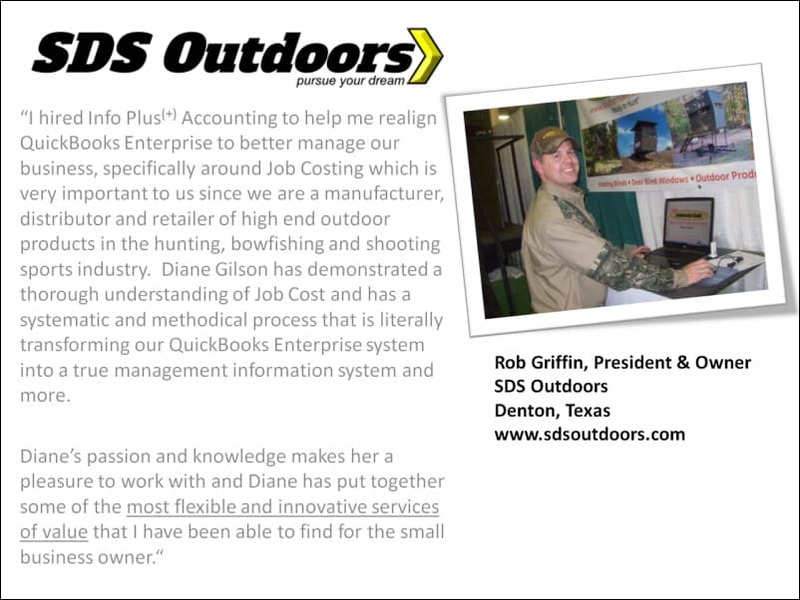 Her “Comprehensive QuickBooks Accounting System Check-Up” is brilliant! It gives a company a great opportunity to get a big picture view of the key elements that could be impeding their profitability and back-office processes. In addition, she provides a great analysis of the causes of those challenges, and how to overcome them. “As a long time user of QuickBooks we, as a company, have always looked for ways to optimize and validate our use of this tool. 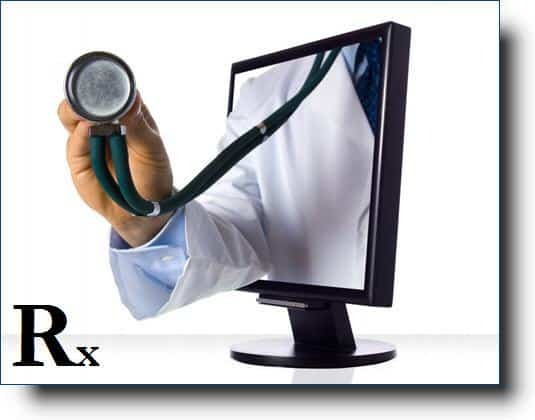 We have found the “Comprehensive Check Up” service provided by Info Accounting to be a real value for us. The format and the content of the findings were well documented and provided recommendations for improvement in our overall use of Quick Books.